THE BLACK BOX Local Artist Series features Yookeroo on Saturday, March 24, 8 PM. A progressive rock quartet based in Massachusetts, Yookeroo has played across the northeast and recently released their first full-length album "Into the Æther." They signed with Green Line Records (Boston) in December 2017. 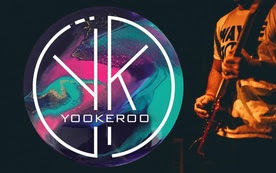 Yookeroo consists of Gabe Rudd (Keyboard) Desmond Cornetta (Guitar/Vocals), Michael Agnello (Bass/Vocals,) and Sam Pinkowitz (Drums).